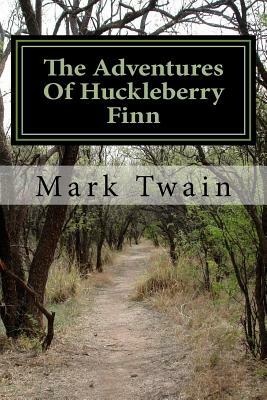 Huckleberry Finn had a tough life with his drunk father until an adventure with Tom Sawyer changed everything. But when Huck's dad returns and kidnaps him, he must escpe down the Mississippi river with runaway slave, Jim. They encounter trouble at every turn, from floods and gunfights to armed bandits and the long arm of the law. Through it all the friends stick together - but can Huck and Tom free Jim from slavery once and for all? Mark Twain was born Samuel Langhorne Clemens in Florida, Missouri, in 1835, and died at Redding, Connecticut in 1910. In his person and in his pursuits he was a man of extraordinary contrasts. Although he left school at twelve when his father died, he was eventually awarded honorary degrees from Yale University, the University of Missouri, and Oxford University. His career encompassed such varied occupations as printer, Mississippi riverboat pilot, journalist, travel writer, and publisher. He made fortunes from his writing but toward the end of his life he had to resort to lecture tours to pay his debts. He was hot-tempered, profane, and sentimental--and also pessimistic, cynical, and tortured by self-doubt. His nostalgia helped produce some of his best books. He lives in American letters as a great artist, the writer whom William Dean Howells called "the Lincoln of our literature."